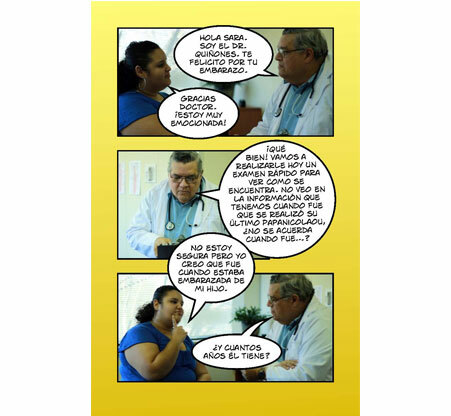 Protegernos a Nosotras Mismas y a Nuestras Familias del Cáncer Cervical/Protecting Ourselves and Our Families from Cervical Cancer is a free fotonovela in both English and Spanish. Latinas have the highest rates of cervical cancer of all groups of women in the US. This fotonovela shares the facts about HPV and cervical cancer prevention,from HPV testing to vaccines, through the story of two friends, Sara and Lucia. The fotonovela is available as a free PDF download. The Spanish version is also available in digital format and can be embedded on your own website using code available here.